Movie Party! X, The Man With The X Ray Eyes (1963)! 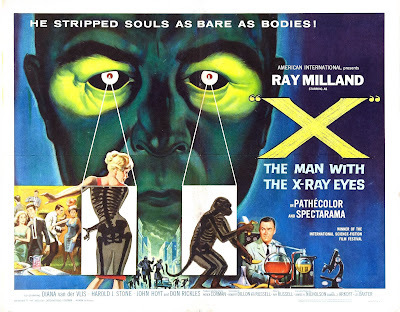 A very unusual tale of science gone haywire in this 1963 Ray Milland movie. Watch for comedian Don Rickles in a most unsavory role!